Will Pokemon Contests return in Omega Ruby and Alpha Sapphire? Can we build our own hideouts like in the originals? Are there any more Mega Evolutions? People have been pondering the answers to theses questions ever since the 3DS remakes for Pokemon Ruby and Sapphire were announced. Thankfully a new game trailer was just released that not only answers many of these questions; but also gives us a look at some exclusively new content. In case you didn’t already suspect this, the Gym Leaders will all have 3D enhanced graphic Sprites; and if you’re thinking “duh”, well tell Nintendo. 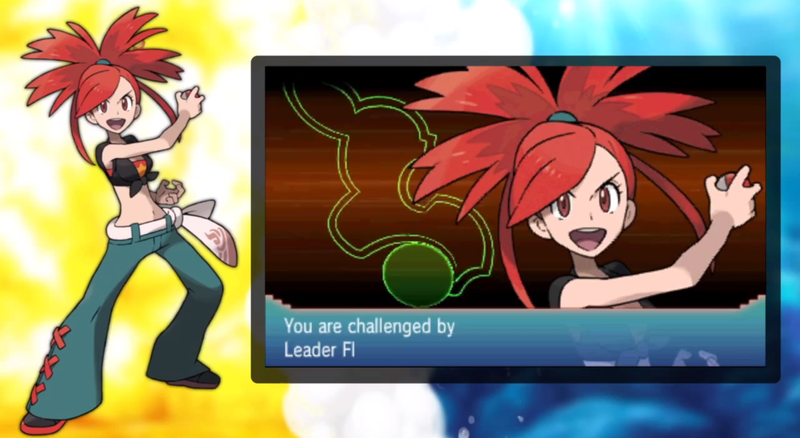 As the main battles of the game, it’s pretty obvious that they’d have battle sprites like the Gym Leaders did in XY; and yet a large portion of this trailer was dedicated to showing this. It was nice to re-familiarize myself with who the Hoenn Gym Leaders were – since it has been over 10 years – but beyond that there wasn’t much else to get from this footage. The Elite Four also get special sprite treatment; but again, who thought they wouldn’t. One of the new game mechanics the Generation 3 Pokemon games introduced – that no other games really implemented – was the idea of building your own hideout. Thanks to this trailer and a few images from CoroCoro Magazine, we can see that hideouts and the options of decorating them has indeed returned for these remakes. Though the hideout customizations have not only been vastly improved over their predecessors, but also seem to combine a bit of the Poke-Amie mechanics introduced in Pokemon XY. In XY, the Pokemon Amie screen allowed you to play with your Pokemon, decorate where the Pokemon resides and also allowed other Pokemon to visit yours over the Global Network. Considering some of the hideout game footage shows other characters in your hideout, it seems possible that friends will be able to visit their friends secret hideouts as well introduce an even greater capacity for shared gameplay. Well thanks to some additional information from Nintendo, we’ve learned that is exactly what the new Hideouts will do. From making friends to battle with to even playing competitive capture the flag battles, the Hideouts feature has been completely rebuilt and looks amazing. Hideout friends will also be able to lend you special skills that can help you on your journey. There’s even added compatibility with QR Codes to make sharing your base even easier. So be sure to take good care of your hideout and get ready to build you team of friends. The other big game mechanic introduced in Generation 3 was Pokemon Contests where your Pokemon was judged on the beauty and style of their attacks and looks rather than their power. Now this new trailer doesn’t directly confirm Pokemon Contests returning; but with images of a cosplaying Pikachu on stage, its safe to assume this indirectly implies their return. Whether these costumes are just for Pikachu – making this game seem very much like the Pikachu centered Pokemon Yellow – or can be applied to any Pokemon wishing to take center stage in a Pokemon Contest remains to be seen. I’m willing to bet that these outfits will be available to more than just Pikachu. The outfits Pikachu are in each embody one of the five categories a Pokemon could be judged in: Coolness, Beauty, Cuteness, Smartness, and Toughness. We already got word on the 3 Hoenn Starter Pokemon getting Mega Evolutions – as well as Sabeleye – from the E3 reveals a few weeks ago; but now we’re learning about the Mega Evolution we’ve all expected and hoped for: Mega Metagross. 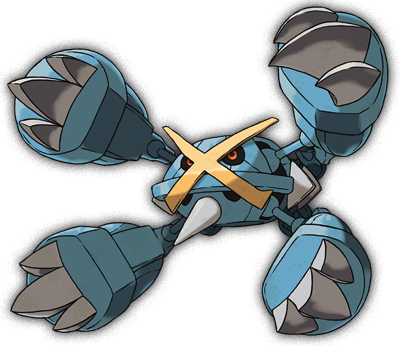 Metagross was a virtual tank that excelled in both Attack and Defense at the cost of Speed; but his new MegaEvolution fixes that. Mega Metagross receives a drastic boost to his Speed stat once he Mega Evolves; but that power ups don’t end there. Usually a Mega Evolution will drastically improves a few stats at the cost of cutting others – or at least leaving them untouched. Mega Metagross on the other hand receives stat boosts all around. With his Special Attack, Special Defense and Speed all getting decent to substantial boosts, his already impressive Attack and Defense get boosts as well. Throw in this Mega form’s ability ‘Tough Claw’, which gives a 33% bonus to all Contact moves, and you can see why Mega Metagross is promoted as ‘packing a huge punch’. One other Mega Evolution that was revealed a few weeks ago but we are now only getting information about is Mega Diance. Since Diance hasn’t even been released yet as an XY Legendary, it’s hard to even predict what this Pokemon’s Mega form would act like. Thankfully, we now have some details on that mysterious Pokemon and its Mega form. As Diance Mega Evolves, the rocks and debris fall off from its body as the jewel expands to its full size. Despite this massive diamond, Mega Diance’s Defense and Special Defense decrease substantially; however its Attack and Special Attack increase drastically. Though most notable is this Pokemon’s tremendous boost to its Speed Stat, which makes this Pokemon a must have for those who employ the Strike Hard, Strike Fast method of battling. Also, Mega Diance gets the ability Magic Bounce which not only negates any attempts to inflict status conditions or lower stats; but also bounces them right back at the one trying to inflict them. More details and Mega Evolutions are sure to be revealed in the coming weeks, so stay tuned. Until then, get excited for November 21st, because that is when Pokemon Alpha Sapphire and Omega Ruby hit stores. 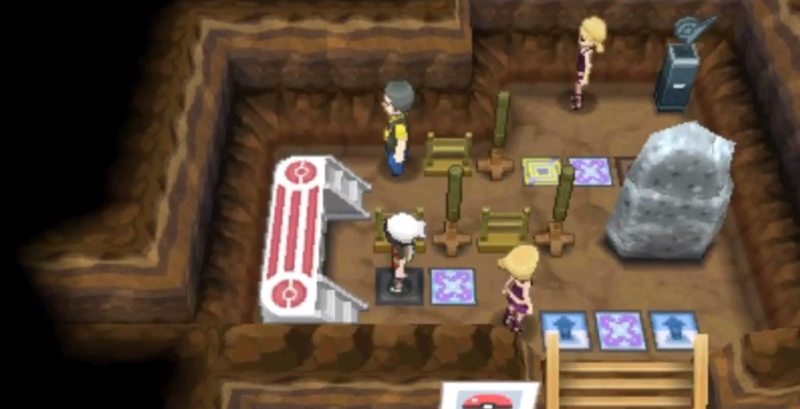 Pokemon ORAS: The Delta Episode – Battle In Space, Deoxys and More!